Panama has many sites to see. 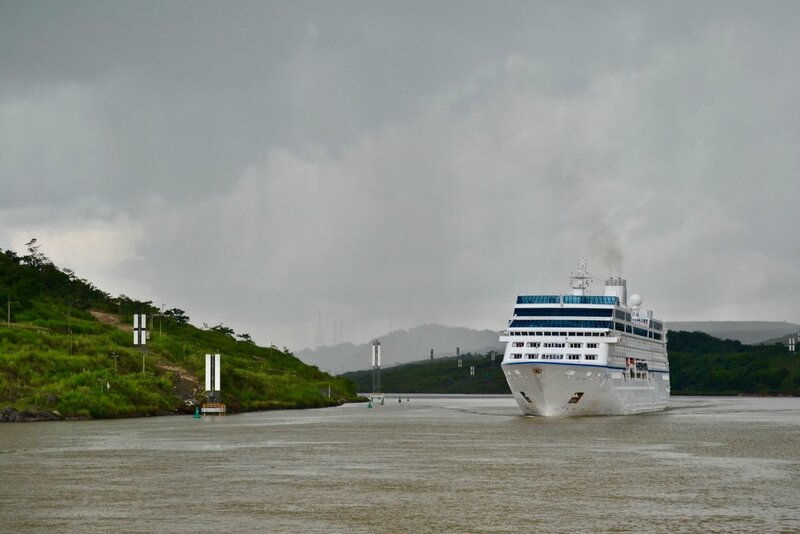 However, the one site that is a must-see for all visitors is the Panama Canal. It is probably one of the greatest feats of engineering the world has ever seen since it has revolutionized the world in terms of speeding up maritime commerce by making the journey from the Pacific Ocean to the Atlantic Ocean significantly shorter. There are many ways to see the Canal, but I opted for a tour that would do a partial transit through the canal. My first choice was to do a full tour of the canal which would mean that a ship would go through the entire canal and not just part of it. That would be a significantly longer trip, but it would definitely be an interesting one. Unfortunately, that tour was only offered once a month, and it was on a day I would not be in the country, so I opted for the partial transit tour. 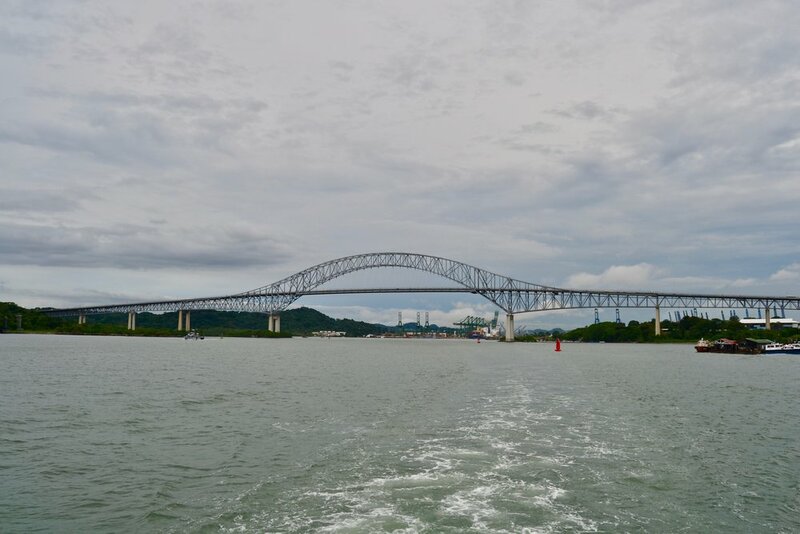 Because the Panama Canal Transit Authority deals with all ships that come and go through the Canal, the tour company that I booked with made it very clear that things could change at anytime. This was most apparent when I was first told that I would need to be at the meeting point by 6:30am. That then changed to 9am the night before the tour was to commence. This was not entirely unexpected since it was stated that short notice time changes were possible. The tour company also made it clear that it was important to be on time for check-in and not be late. On the day of tour, I had a quick breakfast of toast and eggs since my tour time had been pushed back. At about 8am, I left the hotel and arrived at the meeting point via an Uber the hotel ordered for me. The tour company did offer free pickups, but since I was staying in the old town, the streets were not wide enough for the buses and vans. Therefore, it was my responsibility to set up transportation and get to the meeting point on time. Because it was still relatively early in the morning, the traffic was not too bad going to the meeting point. On the way there, I also got to see a view of the Old City from a different viewpoint. When I reached the destination about 45 minutes early, I paid the driver about $6 and went over to a line of people, and my heart dropped. Soldiers were checking passports. Prior to leaving, I had made sure to check and double check that a passport would not be needed for this trip, and when I looked on my ticket voucher and emails, it said nothing about needing it. In addition, I could not for the life of me figure out why I would need the passport. After all, no border crossings would be done, and I had already provided my information to the tour company in advance. Fortunately, I was not supposed to be in that line. I quickly looked around and saw a building which had the tour company name on it. I went over to it, checked in, and got my ticket. No passport was ultimately needed. Unfortunately, the tour did not start immediately. After checking in, we were told we would have to wait for another 90 minutes because the boat was not ready. Again, this was not something the tour company controlled, but the Canal Authority, so there was nothing to be done but wait in the shade and avoid the sun. After more people arrived via taxis, minivans, and buses, the main guide came out and told us we were going to go onto a bus and head to the town of Gamboa, which is where we would board the ship and begin the tour. The bus ride took about an hour, and upon reaching Gamboa, we sat on the bus for another 30 minutes or so since a couple tugboats needed to leave in order for the ship to depart. During the waiting, I was treated to hearing a couple of young children between the ages of 9 to 12 bicker while their parents threatened to cut off their iPad time. Overhearing the bickering over whose turn it was to play the iPad and empty threats reminded me why I do not want children. Eventually, we boarded, and the cruise through the Panama Canal began. The ship had room for 300 people, but only about 125 people were on this cruise today from different tour companies, so there were many places to sit. Since it was going through a canal, there was not much to do except to take a seat and admire the scenery pass by and listen to the tour guide explain the history of the area. During this time as well, the guide also gave information about the Canal and how it works when the ships go through. When we reached the first lock, the gates opened, and the ship came to rest against the wall. Before the ship could continue, we needed to wait for a much larger container ship to come in as well. The guide explained that because it was very expensive for each ship to go through the Canal (hundreds of thousands of dollars for a toll), the ship that we were on always went through with a larger ship in order to save on costs. Once the larger ship was behind us by only a few feet, the gates behind the larger ship closed, and the area began to drain. It was possible to see the water level in the locks steadily drop. While this was happening, both of the ships were being lowered along with the water level since the lock was at a higher elevation than the rest of the Canal. Once the water level of the lock was equal to the water level outside, the gates in front of us opened, and the ships continued on their way. 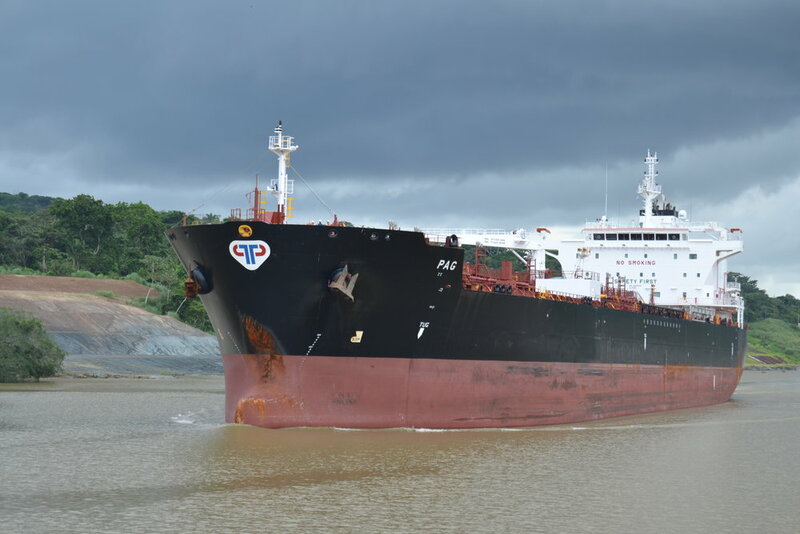 Upon reaching the famed Miraflores Locks, the ship once again entered the lock and was followed shortly after by the larger container ship. 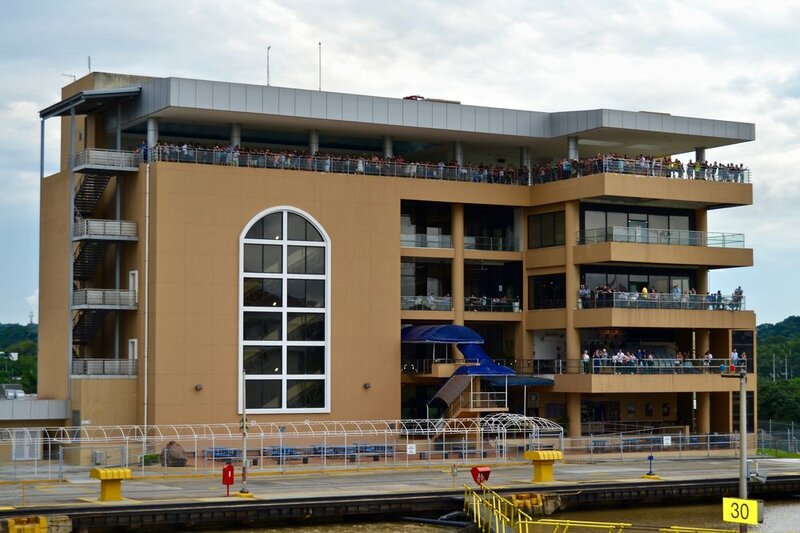 This time though, there was a large audience watching from the Miraflores Locks Visitor Center. The people in the Visitor Center had come to see the ships being lowered. Once again, the water level inside the lock began to drop, and both ships began to go down with the water level until it was equal to the outside water. The water level dropped so much that it was not actually possible to see the Visitor Center anymore. The gates of the locks then opened, and we continued on our way back to the original meeting point. During the trip back, there was not much else to do except enjoy the scenery. However, the weather had improved a bit, so it was possible to get some beautiful views of the Panama City skyline with the architecturally-unique Biomuseum, which the famed architect, Frank Gehry designed, in the foreground. It was also possible to see a line of ships (mainly oil tankers and container ships) lining up to take their turn through the Canal. Upon arrival back at the original meeting point, I took a taxi back to Casco Viejo. However, I am pretty sure the driver charged me more because he charged me $10 to go back. Since I was tired and hungry, I was not in the mood to argue with him; plus, it was only a few dollars more than what I was expecting, so I could live with that. While we driving back, I noticed the driver took a different route from the Uber route earlier in the morning. It was then that I began to get a bit worried. He was driving me through El Chorrillo, which is a dangerous neighborhood of Panama City that borders the old town. It was very clear that this was not a good area since everything was run down, and there was a definite absence of any police presence. My initial thought was that he was going to take me here to get robbed. It was then that the driver told me that the old town was nearby, and that we were driving fast through this area since he told me in Spanish, "El Chorrillo es muy mal" (El Chorrillo is very bad). Sure enough, we came out into the old town with no problems. After a long day on the Canal, I headed to a restaurant called Diablicos. I had seen this place the previous day and was curious to try it, especially since it got some really good reviews on TripAdvisor. Even though it was still early, I was famished. I had guacho de rabito, which was a thick soup with rabbit meat and vegetables. I was surprised by the size of it. While I was hungry, I was worried that I was not going to finish it since it was very filling. However, I was able to eat all of it while washing it down with a beer. Needless to say, once I got back to the hotel, I took it easy the rest of the night. It had been a long, yet worthwhile day, and I was exhausted. 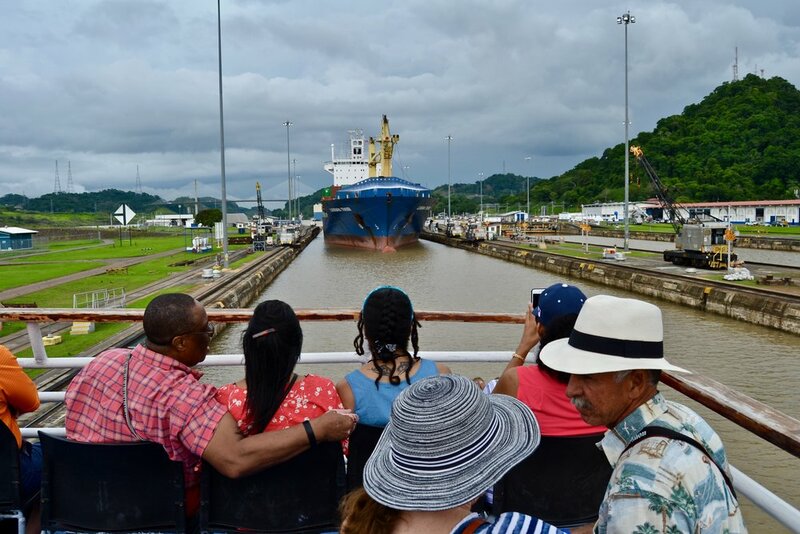 Overall, having the opportunity to travel through the Panama Canal was a fascinating and once-in-a-lifetime experience since I got to see first-hand how the different locks work. It was amazing to see how the water levels dropped carefully and brought the ships down to an equal level. How everything is carefully controlled was truly interesting to see. Thankfully, the weather was generally agreeable for a good portion of the tour even though there was a heavy downpour early on in the trip. However, the weather cleared up later in the day. While the tour itself was quite long and most of the time was spent waiting not only at the tour office and on the bus but also for the larger container ship to get behind us, it was quite an unforgettable experience getting to go through one of the most important and impressive engineering the projects the world has ever seen. I would strongly recommend doing a trip through it sometime since it is definitely something a visitor will never forget.